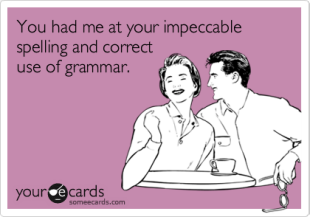 Students need to learn grammar skills in order to learn communication skills. They also require grammar skills in order to do well with later analytical and independent thinking skills. Teach your students to recognize nouns using the lesson provided. Present the first five examples using the script. the script uses a Model, Lead, Test format from Direct Instruction methods. Then let your students try the rest of the worksheet exercises independently. For a printable pdf version of the lesson, covering regular and proper nouns, click here. The student can See/Mark 80-100 nouns in sentences with 2 or fewer errors/minute. The worksheet has a number indicating how many nouns are in that sentence. A noun tells of a person, place, thing or state of mind (e.g. confusion). Students need to learn grammar skills in order to learn communication skills well. 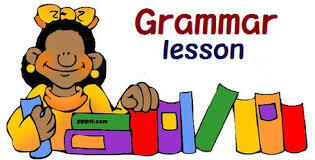 They also require grammar skills in order to analyze deductions so as to know how to write a correct conclusion. One rule about deductions is that the noun which is found in the rule and the middle part cannot be used in the conclusion. If students cannot quickly and accurately identify nouns, they are much more likely to make errors in writing conclusions to deductions. Teach your students to recognize nouns using the lesson provided before you begin to teach them reading comprehension skill, especially deductions. Present the first five examples as a lesson. Then let your students try the rest of the set independently. This lesson only deals with identifying nouns in one of the four possible kinds of deductions. While identifying nouns will be useful for all types of deductions, further lessons for other types of deductions are still required and will follow later. The student answers, “A noun tells about a person, place or thing. Practice until the student can say the rule correctly, quickly and easily. The student reads the sentence again. Repeat with several additional examples from Part A of the worksheet until the student is naming nouns quickly, easily and without error. Then let the student complete Part A of the worksheet as you watch. Correct any errors immediately using the correction procedure given above. Say to the student, “Now we are going to learn a second rule. This is a rule about a special kind of noun. This is a rule about proper nouns. Listen. A proper noun tells about special individuals, events or places. Proper nouns always begin with a capital letter. Listen again. A proper noun tells about special individuals, events or place and always begins with a capital letter. Say to the student, “Good learning that rule. Now say the rule all by yourself. Ready. Repeat the procedure with the next 10 sentences. Then give the student a chance to do the rest of the sentences independently as you watch. Correct all errors immediately. Correct the student’s work. Correct any errors and review them with the student. Record the number of correctly marked nouns and the number of errors on the chart. Have the student complete the worksheet for additional practice. The student should be able to mark between 80 and 100 nouns in one minute with no more than 2 errors. Find the nouns in each sentence. Find the proper nouns in each sentence. 4. “Captain Brant wants to see you right now”, she said. 5. Mayor Thompson cancelled the parade. 6. The mayor cancelled the Fourth of July parade. 7. That mountain range has very high peaks. 8. The Rocky Mountains have very high peaks. 9. Which book would he like to read? 10. The Wizard of Ox is a great book for him to read. 11.Seven lizards ran into the pond. 12. Miguel, the producer of the movie, won a big award. 13. The director did not win any awards. 14. When was the last time you went to the dentist? 15. Who took it and where did they go? 16. During the Second World War, General Patton was well known. 17. At the Tour de France, all of the riders have to be very fast. 18. Man of War won the Kentucky Derby in record time. 19. The company will ship your order today. 20. The rain fell on London for ten more days. 21. How fast will that Honda go? 22. How fast does your car go? 23. Barnum & Bailey created a large circus with many animals. 24. The Washington Post has a large staff of writers. 25. Many of the authors did not come back after lunch. 26. John Steinbeck, the author of Grapes of Wrath, wrote many other books. 27. Queen Elizabeth has a very busy travel schedule. 28. The Titanic hit an iceberg and sank. 29 The World Series usually starts in October. 30. When the branch broke, the boy fell out of the tree. Read each sentence and underline each regular noun and circle each proper noun.